All Tranquility? Incontinence Products are shipped to you in discreet packaging to maintain your privacy. 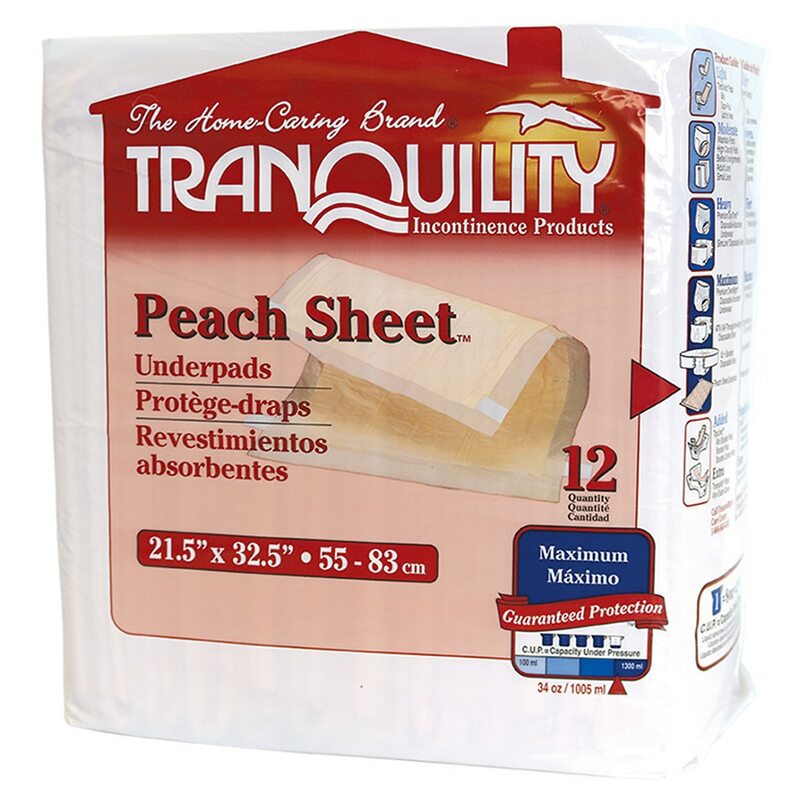 Protects wheelchairs, bedding and furniture Peach Mat Guarantee! Unsurpassed Skin Dryness, Odor Control, Urine Neutralization, and Inhibition of Bacterial Growth.